The Body Shop is always a reliable destination for festive gift sets that are sure to impress any pamper queen on your list. The Frosted Berries gift set (only $22.50 !!) is gorgeous. This full-sized product selection in a sweet festive fragrance comes pre-packaged in a cute red tin, making your job that much easier. See more "gifts they'll go wild for" here. Hair Slinkys are a hit for the ladies and gents rocking a pony. I love these new metallic hair ties ($6 ea) which add the perfect hint of sparkle in a stocking, or tied onto the exterior of a gift box. Fragrances are easy peasy, especially since they often cost a pretty penny. L'OCCITANE makes some of the most exquisite men's and women's fragrance sets, that won't break the bank. The L'Homme Cologne Cédrat Collection ($90) has four full-sized men's skincare products, including the best-selling Cologne Cédrat - one of Joseph's favorites. Check out all their gift sets here. My current favourite fragrance is the sweet and fruity YSL Mon Paris ($110) that was generously gifted to me by Dave Lackie. Other classic vanity staples like the Touche Éclat ($50) and Vinyl Cream Lip Stain ($42) completely speak for themselves. 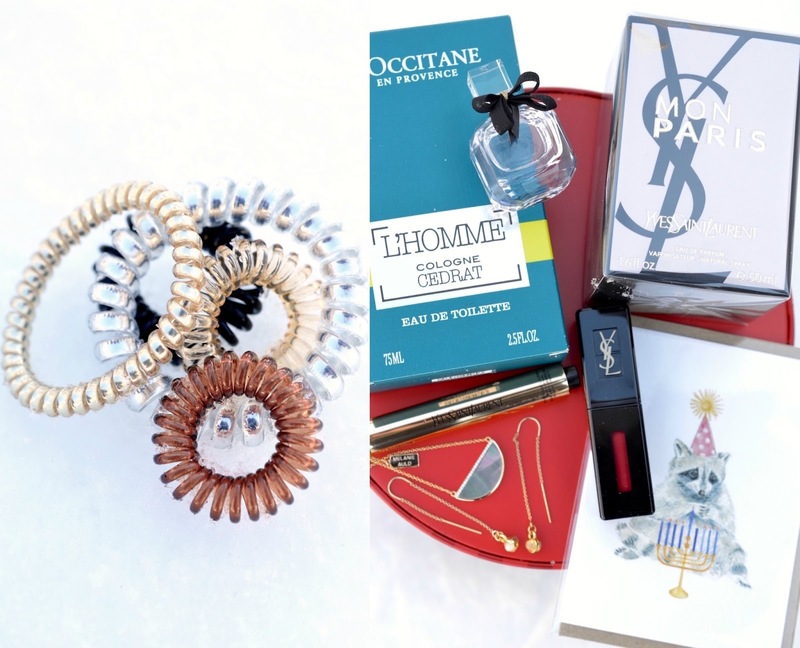 Jewellery is easy and memorable where feminine gifts are concerned. Some of my favourite local designers include Melanie Auld who designed the half-moon necklace above, and Liel and Lentz for those gorgeous pendant earrings. To top it all off, don't forget about a cute one of a kind card like this Happy Hanukkah one ($6) from La Jolee (featured in a recent vlog here). Looking for a high-tech, modern and functional present? FOREO has you covered. I've been using the ISSA Hybrid over the past few months, and it's super cool. I still love using the LUNA mini 2 (reviewed here) so this sleek lavender toothbrush ($171.75) is right up my alley. I'll admit that I wasn't planning on doing any Sephora shopping this Christmas season.. until I found this set. The Let it Blow! 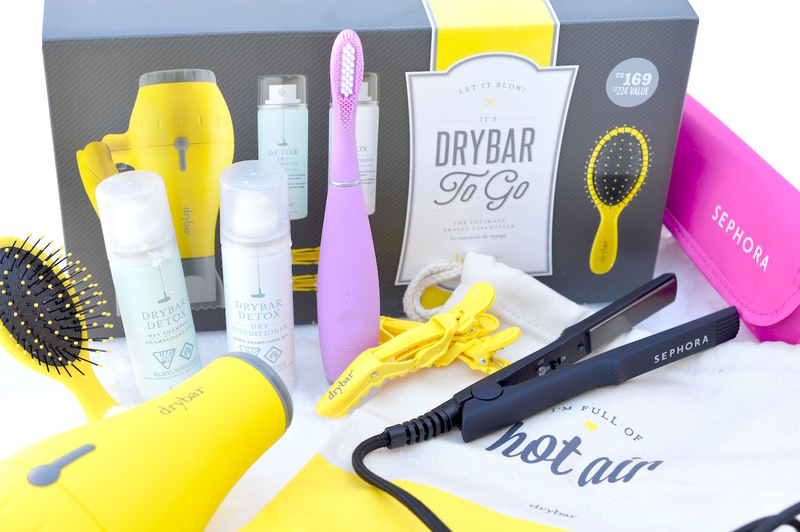 It’s Drybar to Go The Ultimate Travel Essentials Kit ($162) is a really good deal, given the high price tag (and equally as high ratings) on all of the individual components. I've already used the brush, clips <3, dry shampoo and hair drier - I'm pretty happy with it. Luckily, I used my $15 off code when I bought the set online. 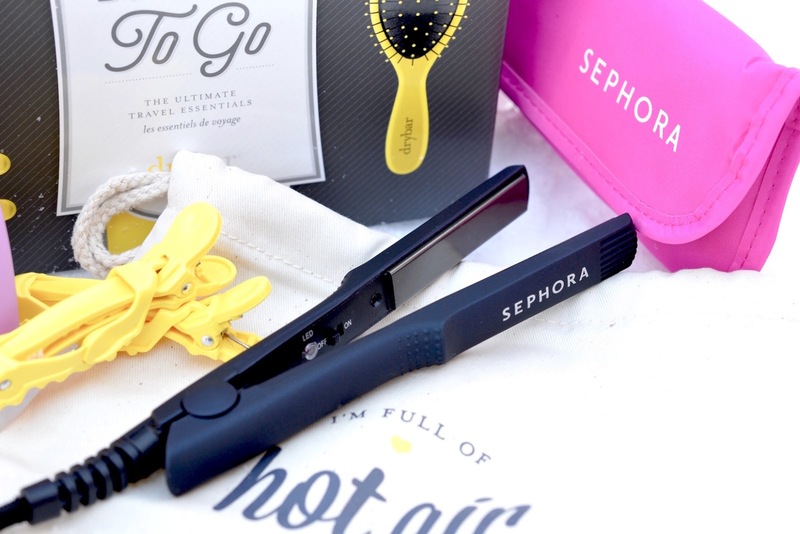 Along the same lines, we have the cutest travel hair straightener, that works like a dream. This Sephora Collection Tame: Mini Flat Iron has floating plates that warm up within seconds. For $26, you can't go wrong. Wine and spirits are also always a hit for the "person who has everything", some of my favourites being the wines from Inception, a selection of Belgian or craft beer, and Baileys Almande ($31.95). 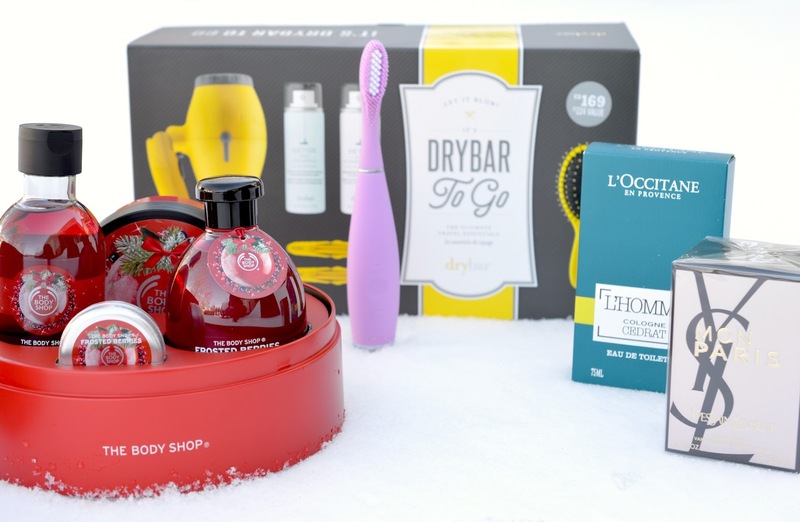 I hope this roundup sparked your interest in picking up some fantastic finds centered around beauty and wellbeing for both the girls and guys on your list.